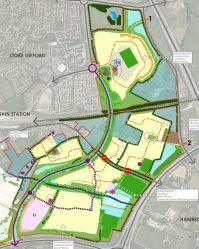 The land East of Harry Stoke has been allocated for development by South Gloucestershire Council to meet the local need for more homes and to incorporate the new Stoke Gifford Transport Link Road. 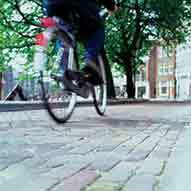 The site is allocated to deliver in total up to 2,000 new homes with mixed uses and associated community infrastructure and represents a significant part of the Council’s strategic housing land provision. 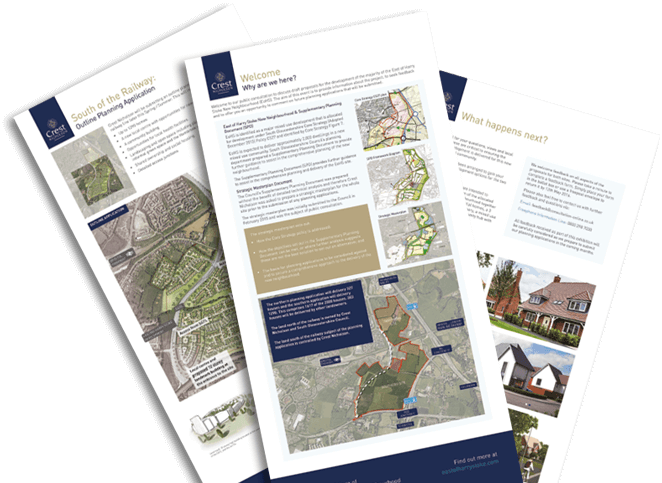 Crest Nicholson owns a significant amount of land to the East of Harry Stoke and has now submitted the proposals, in the form of two planning applications, which will ultimately provide new homes, community facilities, new roads, a new school and other amenities. The proposals will be linked by the Stoke Gifford Transport Link, which incorporates the North Fringe to Hengrove Transit Route (high speed bus link). 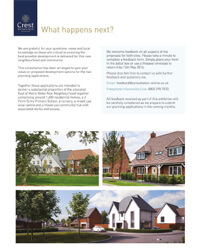 Crest Nicholson submitted two applications in late August following a period of comprehensive public consultation. South Gloucestershire Council will now assess these applications against adopted planning policy and consultee responses and come to a decision in the next few months.